In gyms the world over, no body part inspires quite as much hushed awe as the coveted six-pack. In the modern male beauty stakes, sporting a rippling midriff is the closest men can come to physical perfection. And yet, six-pack envy — this fixation with what are basically biceps for bellybuttons — is really only a recent phenomenon. 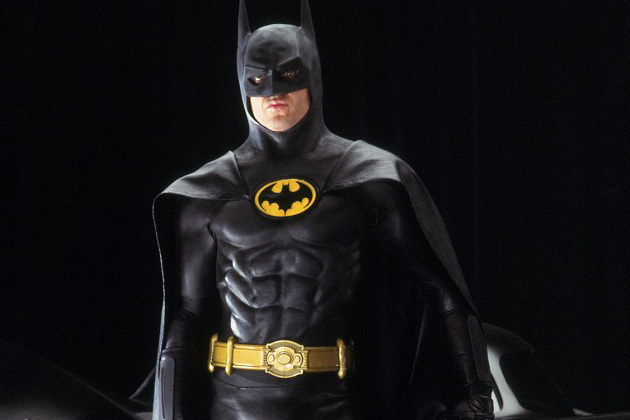 Consider for a moment Adam West’s squishy Batman from the 1960s, compared to Michael Keaton’s ripped body-armor in the 1989 movie version. 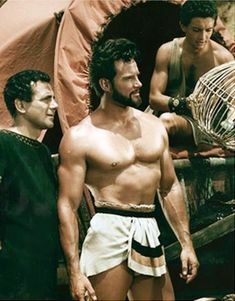 Or pit the iconic, un-ripped bare bellies of Charlton Heston as Ben-Hur (1959) and Kirk Douglas as Spartacus (1960) against the cartoon ab contours of Gerard Butler as King Leonidas in 2006’s ancient torso-fest 300. Somewhere in the intervening years, it seems, we began to equate an egg-carton physique with the secret to self-fulfillment. The phrase “six-pack” itself hasn’t been around all that long, either. It comes, obviously enough, from the conventional three-by-two arrangement used in beer packaging. But before it was applied to muscley middles, it was commonly used to refer to muscle cars, with the term being coined in this context by Chrysler for its revolutionary hood-protruding engine, the “440 Six Pack,” first installed in the Dodge 1969 Super Bee. But enough with the etymology. When did the underlying idea — that to be a real man you need abs like bowling balls under a blanket — begin to occupy such a central place in our self-image? Sculptures of insanely ripped figures were being produced as far back as early as 400 B.C. 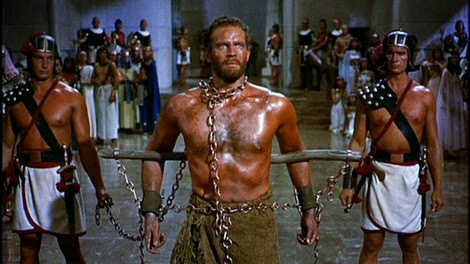 in Ancient Greece, so arguably it’s always been a good look. But it was never the all-encompassing ideal that it is today. In fact, for much of history, toned physiques were the mark of dull peasants who tilled the land, while the more desirable fuller form implied an aspirational lifestyle of aristocratic leisure. 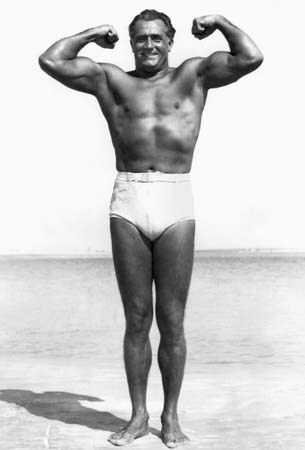 That began to change in the 19th century, when German strongman Eugen Sandow — known as the “father of modern bodybuilding” — began to popularize physical improvement as a legitimate leisure activity. 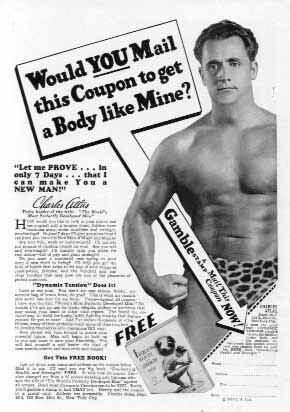 Still, it wasn’t until the 1950s that gym culture started to impose itself on mass culture, with Charles Atlas’ ubiquitous “You Can Have a Body Like This!” magazine advertisements and Steve Reeves’s Hercules movies, which provided Hollywood with its first bona-fide musclebound hero. 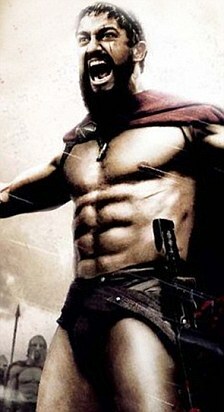 Even Reeves, though, was beefy of bod but somewhat smoother of torso. 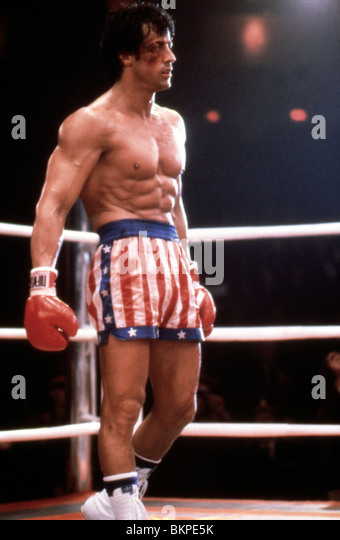 And if you look at photos of Atlas’ classic magazine poses, while he does have a bit of ab ripple going on, it’s hardly the star of the show — and half the time it’s hidden beneath staggeringly enormous white undershorts. 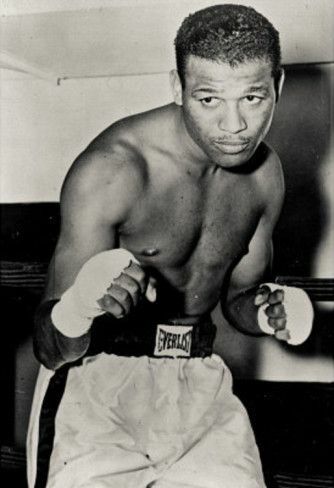 Back then, it was all about the biceps, baby. The 1980s, a decade defined more than any other by men staring intensely into full-length mirrors, were really when core definition took hold of our collective imagination. This is perhaps traceable to a couple of movies. 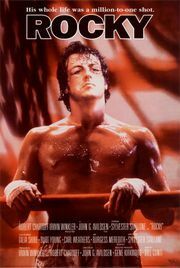 Sylvester Stallone’s Rocky character — who first appeared in 1976 — was an increasingly shredded departure from subtler-abbed boxing legends such as Sugar Ray Robinson and Muhammad Ali. Then there was the 1977 weightlifting documentary Pumping Iron, which catapulted both bodybuilding itself and a young Arnold Schwarzenegger into the mainstream. 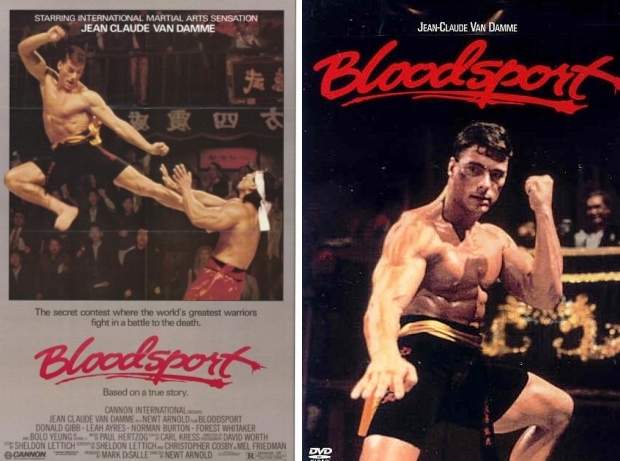 In their wake, the figure of the ripped, angry action hero was an inescapable box-office behemoth, with Arnold as Conan and Stallone as Rambo, reaching its abdominal apogee with Jean-Claude Van Damme in 1988’s Bloodsport. Meanwhile, Men’s Health launched a year prior to JCVD’s masterpiece, further cementing the bristling six-pack as a permanent fixture on its covers, in its workout columns and in our very notion of masculinity. It worked, too: It’s gone on to be the best-selling men’s monthly on newsstands in the U.S. and in the U.K., with more than 20 million readers worldwide. 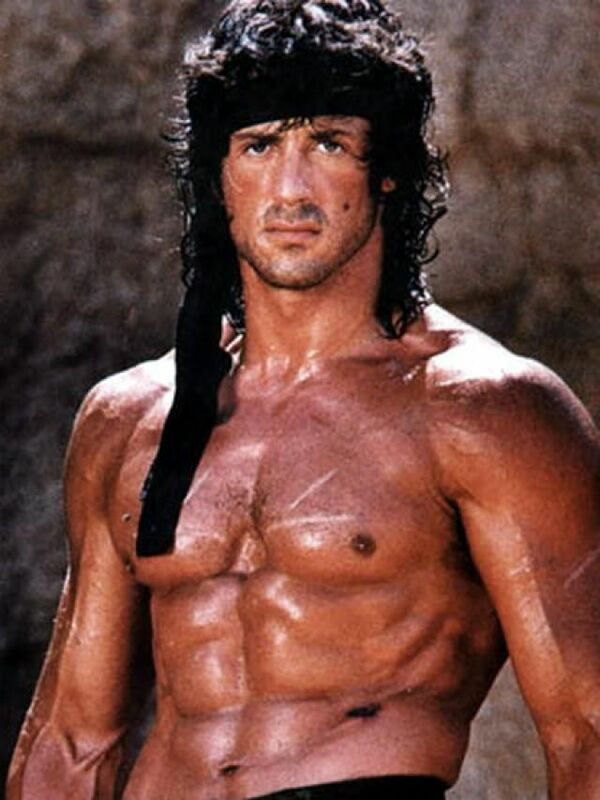 But again, there’s some historical precedent that predates Arnold, Stallone, JCVD and Dave Zinczenko. In 1490, for instance, Leonardo da Vinci sketched his famous Vitruvian Man (the one that looks like a Renaissance roadie making a snow angel), and chose to represent ideal anatomical geometry with an elegantly chiseled set of abs. So maybe eternal mathematical beauty is at the core of our six-pack obsession. And if da Vinci himself was into abs, that might solve one of the other great mysteries of our time: What was the woman in the portrait of the Mona Lisa’s smiling at? Perhaps Leonardo was more ripped than we knew.